Young hero Naga Chaitanya is presently busy with Premam film shoot, and meanwhile he has signed up for his next project already. Kalyan Krishna who shot to fame with his debut movie Soggade Chinni Nayana will don the director cap for the movie. Nagarjuna confirmed the news, and he will produce the movie on Annapurna Studios production. 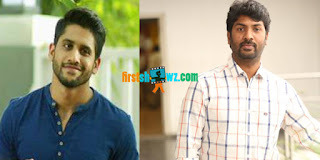 More details of the cast and crew of the movie are awaited, and the shooting schedules will begin once Naga Chaitanya wraps his under shoot film Premam taking shape in Karthikeya fame Chandoo Mondeti direction. Naga Chaitanya currently has Premam and Sahasam Swasaga Sagipo slated for release.